A Naming Ceremony is a celebration of family and life. This is a great way to bring your family and friends together. The Ceremony is written in conjunction with the parents and a Celebrant to create a personalised and meaningful occasion. It usually includes bestowing a name on your child and declarations of promises and commitments from the parents and guide parents and other important people in the child’s life. Naming Ceremonies can be held in the home or at a venue of your choosing but not in a Church. They are also not officiated by a Priest but by a Celebrant. Although a Naming Ceremony is secular in its origin, it is entirely the personal choice of the parents as to whether any religious content, from any faith, is included. Having contact with your Celebrant is the best approach as you can use their experience to make the ceremony exactly how you have envisaged it. The Ceremony can be either relaxed or formal. You have total freedom to create a memorable experience for your family and loved ones. Some parents like their other children in the ceremony. Their siblings can choose to write and say a reading or poem, or perhaps make their own commitments. They may want to make a promise to help look after their new sibling. As a family you may like to light unity candles or have a sand blending ceremony, the action of doing something like this as a family can be significant in bringing you all together. In the ceremony you can incorporate readings, poetry and music. The most important part is choosing the aspects that are special to you and your family. Parents will declare their hopes and wishes for their child’s future and will share this experience with family and friends. Guide parents are chosen to make commitments to support and guide the child as they grow and they will make themselves available should the child ever need them for advice, care, guidance or help, this is similar to the role of God Parents. Promises may be made by Guide parents, they can either answer questions asked by the celebrant during the ceremony, or they can prepare their own promises to your child - in doing this their role becomes even more personal to them. You will be surrounding your child with loving role models to nurture them and have a positive impact on their life. Some parents like to personalise the ceremony to include symbolic elements such as the lighting of unity candles, a sand blending ceremony, hand and foot prints as a keepsake or the planting of a tree (if the ceremony is being held in your home). Naming ceremonies are not legally binding and do not have any legal status, although you may be presented with a record of the ceremony as a token of the day. Naming ceremonies can also be tailored to welcome adoptive children and step-children into a new, extended family or relationship. My name is Carol Colman and I am an accredited Celebrant with the Irish Institute of Celebrants. I am based in Dublin and I also cover surrounding counties. I can be contacted through my website www.loveisallyouneed.ie ,on Facebook Carol Colman Family Celebrant or by email at carolcolman57@gmail.com. I as a Celebrant will offer home consultation, alternatively you can choose to have contact through online platforms such as Skype, WhatsApp or other video call software, but if it’s possible, I would recommend meeting person – but as a parent myself I fully understand how precious your time is with a new arrival or toddler. Throughout the process, I will discuss the options to personalise the ceremony and will get to know you so I can tailor a ceremony to suit your family needs. I am an expert in creating bespoke celebrations that people love. I can help you by guiding you through what can be involved in the ceremony and also giving some ideas you may not yet have considered. A book can be available at the celebration which guests are asked to sign or write a message and good wishes for the future for the child and the family. Guests could be asked to bring something small for the child, such as a letter or a flower, which is collected at the start of the ceremony. The celebrant can ask if any guests would like to say anything about the child after the ceremony. A video can be made with guests saying a message for your child at some point in the future. Creating a naming certificate with the details of the day and name which can be kept after the day for the child. Planting a tree either as part of the ceremony or after at your home. This can symbolise growing as family. Adjusting to life in the early days and weeks. It is important to acknowledge that it will be hard at times, but it won't be impossible. It is all an adjustment but the love you will feel will make everything worthwhile. Of course as your Postpartum Doula I will assist you with adjustment and daily tasks. Here are my top tips on how to set yourself up for success and make each day easier. Cook extra portions of freezer friendly meals (like bolognaise/shepherds pie/fish bake etc) while you are pregnant or if baby is here then at the weekends so you've a good supply of nutritious food to see your family through week ahead. This is also something family and friends could do to help out. Shop online for now if a grocery shop seems unimaginable. Buy preprepared fruit and veg as handy snacks to grab on the go. Lower your expectations of how the house will look during the first few months. You've got a lot on your plate, and it doesn't really matter if the dusting doesn't get done or you have to wear un-ironed clothes for a few days, or years even. As soon as you can, try to get out for at least a short walk every day it's amazing what a boost it is to get out of doors. If that seems too epic right now, sit in the garden and play with your toddler. Make your toddler aware from the very start that the baby is interested in her, is watching her and loves her. Say things like, "She's following your game with her eyes" and "She's very interested in what you're doing". Involve your toddler in games with the baby from the earliest days, and always tell your toddler how much you value her help with tasks such as handing you a nappy for the baby. Have a ‘special feeding box’ Fill the box with little toys and books, colours or activities for your toddler. This box only comes out while you are feeding the baby and is your toddlers special treat. Babywear. Using a sling gives you the ability to meet your newborns needs (to be warm, safe and close to you) while still playing, reading with or just spending quality time with your toddler. I would recommend attending a sling meet or get a sling consultant to your home to find the right sling for you. Be gentle with yourself. No one is perfect. This is all learning on the job, take each day as it comes and remember you are doing your best and that is all anyone can do! Care and Recovery After a Caesarean Birth. You have a brand-new baby — and you also just had surgery. Whether you knew you would have a caesarean birth or not, dealing with both at the same time can be rough. Here are some helpful tips to get your recovery and parenting journey off to a great start. Keep on top of the pain medication! Expect the caesarean incision to hurt for a while. The medicine used in the epidural/spinal ease pain immediately after birth. After they wear off, you’ll be given oral anti-inflammatory medication or suppositories. There are options for these medications that don’t interfere with breastfeeding, so take them. If you can keep pain at bay, it’s unlikely to get out of control. But if you let it go, it’ll hit you like a ton of bricks. It is important to mind yourself during your recovery. Many new mothers get tummy cramps after birth. These are called "after pains" and are similar to early contractions. They are your uterus’s way of shrinking to its original size. Sometimes having that incision will make it more intense for you. Also know that breastfeeding can trigger those cramps and make them feel a little more intense. As crazy as it sounds, this is actually a positive thing! Breastfeeding releases oxytocin which will assist your uterus to shrink back down the way nature intended. Talk to your doctor or a lactation consultant if you’re having severe pain or other problems breastfeeding. Or remember your doula is always at the other end of the phone. Move at your own pace! You probably won't feel up to walking the room rocking your new baby straight away after birth, but you should be able to get out of bed and walk around within a day. You obviously have to wait for the epidural or spinal medications to wear off fully but you also may need extra time to regain your energy. Once the catheter is removed (it emptied your bladder so it wouldn’t be damaged during delivery), you’ll be able to get out of bed. Take those first few days at your own pace (often similar to a 100 year old tortoise). Moving around allows normal body functions to get back to normal, as well as decreasing the chance of complications from your surgery. For example, walking even small amounts helps to avoid constipation. It can also lower the risk factor of forming a blood clot. Plus as hard as it seems, you will feel better if you go and brush your teeth or take a shower. Slowly and with help! Of course, you’re not expected to get up and go for a 10k run anytime soon but it is recommended to gradually increase the amount of activity you do from around two weeks postpartum. That can mean starting by walking around the garden and gradually going longer distances and becoming more active. Increase the intensity around six weeks postpartum. By that time, you will be due your 6 week check with your GP, who will let you know if you are ok to drive and answer any questions you have. Take it at your own pace, follow what your body is telling you. I know - All you want to do is lift that gorgeous baby up and cuddle her, but you’re always better to ask for help. It could be painful or difficult shortly after surgery. This is normal, and pain medication, as well as a hand from your partner, doula or a nurse, will help. Lifting a baby out of the crib may be a challenge, but sitting and holding a baby in your bed or a chair and nursing isn’t. So go ahead and breastfeed your baby, but ask for assistance from the nurses or your partner during your hospital stay. Constipation can be an issue for women after caesarean birth. Gas also gets backed up. This can be uncomfortable in the obvious ways but in surprising ones as well, like shoulder pain. If your bowels are distended, they can irritate the diaphragm, and that can be a referred pain that goes to the shoulders. Don't be shy, speak to your care provider about laxatives and anti-gas meds if required. Remember to eat fiber-rich foods like fruits and vegetables, drink lots of water, and move around as much as possible. And don’t be shy — let that gas pass. In the shower, let the water run on the wound (don’t scrub). Try not to use soap on the area. Once you are done you can pat it dry. If your skin folds over the incision, put a cloth pad on it to keep it from getting sweaty. Your nurse will check it regularly to make sure everything is healing well and may put a dressing on for protection. I wish you the best of luck with your birth experience. A sling is a generic term that is used to describe a baby wrap, carrier or sling. Just makes it a bit easier to talk about A sling is an essential part of your baby gear. You get a pram, a car seat, a cot & a sling! It is just as important as your pram or car seat & is not something that you should forget about. I am often asked what is “The Best” sling to get for a new baby, and that is very difficult to answer. That is like asking me to pick out your new winter coat; what I like & feel comfortable in & what you like & feel comfortable in are two different things! The world of slings may be very daunting, but hopefully I can make the mud a little clearer for you today! I’ll outline 3 different types today, and then discuss Babywearing Consultations at the end. Stretchy wraps are wonderful for newborns! They’re tightness replicates the cosy environment of the womb, and can help baby to feel safe, snug & secure. It brings them back to the heart beat & breathing that they were used to hearing in the womb & your movements help to settle them. There are A LOT of stretchy wraps out there, ranging from €45 - €90. I really love hybrid wraps, as they last longer (you can carry your baby until they are older) & I prefer how well I can tighten a hybrid. But again, it’s personal choice! Others prefer how little they have to worry about tightening a 2 way stretch wrap & just find it so much easier to use. The best way to make head or tail of it all is to book a consultation with a Babywearing Consultant. I’ll say a bit more about this at the end. Everyone know what an SSC or Buckle Carrier is. They are probably the most popular & the most readily available type of sling available. Most high-street nursery stores would carry more than one type of buckle sling, and they’re selections are getting better. The thing with Structured carriers is that as they are “Structured” they are usually sized, and this means that not all fit from birth without the use of an infant insert. The main thing to look out for is to make sure that the sling is ergonomic. You want the seat to support your baby from knee to knee, in a spread-squat position. This is going to be the most comfortable for you & your baby. Again, with a consultation, you can learn how to use these wonderful slings and get you hands back & keep your little one close. We have many names these days; Babywearing Consultant, Sling Consultant, Carrying Consultant, Babywearing Educator. 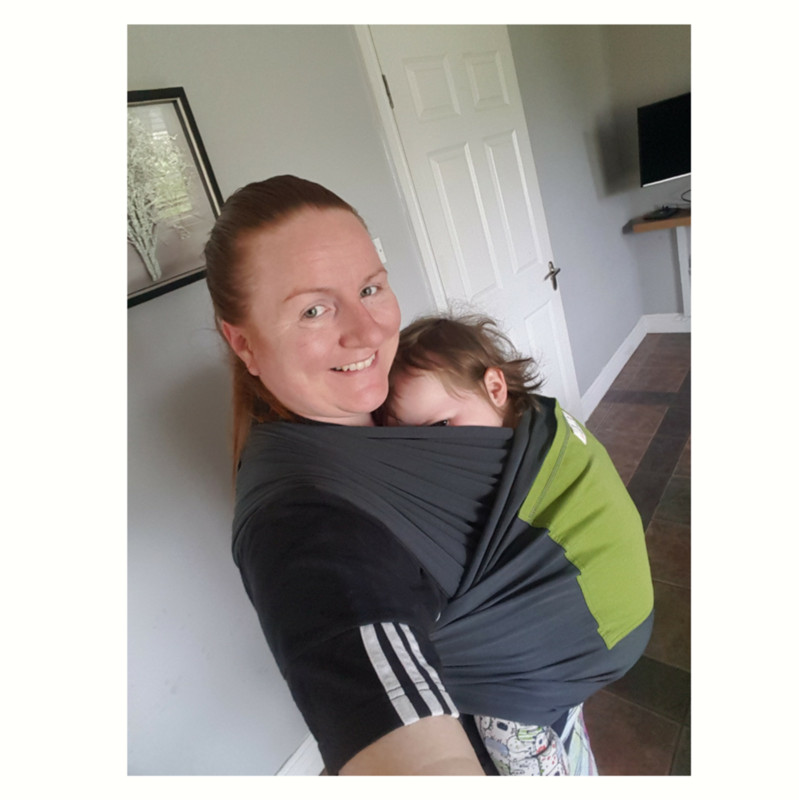 But what we do is we teach you the basics in using your sling correctly so that you and your baby are as comfortable as possible, and that you are totally confident using your sling correctly & safely. A consultation or a lesson is possible when you are pregnant, as all consultants will have Demo Dolls for practicing with, and a selection of slings to allow you to try a few out. A consultation is a custom designed lesson for you & can make your babywearing journey so much more enjoyable & beneficial to you all. Prices for an individual consultation start range from €30-€55 for a 90 minute lesson, depending on location, house call, distance travelled by consultant etc. You can also get in touch with Jen & Mary in DoulaCare Ireland, as 4 of their doulas are also Babywearing Consultants! What's the story with Kaylas Cleft? There are many different types of clefts and no two are the same. A baby can be born with a cleft lip, a cleft palate or both a cleft lip and cleft palate. Essentially what a cleft is, is a hole or gap in the area. The following stats are taken from (http://www.cleft.ie/?page_id=25) The incidence of cleft lip and/or palate in Ireland is between 1 in 700 and 1 in 1,000 births. Incidence of cleft palate occuring alone is about 1 in 2000 births. More than 70% of babies with cleft lip also have cleft palate. Parents who have a child born with a cleft, have a 5% chance of the next born also having a cleft (so a 1 in 20 chance). If a second child is born with a cleft, the likelihood increases further for any subsequent child. The chances of a parent who was born with a cleft having a cleft baby is approximately 7 in 100. So Kayla will have roughly a 7% chance of having a baby with a cleft (of course if she chooses to be a parent but we would love lots of grandchildren!). A subtle cleft on one side of the upper lip, which may appear as a small indentation. A cleft on one side of the upper lip, which does not extend into the nose. A cleft on one side of the upper lip, which extends into the nose. Clefts on both sides of the upper lip, not extending to the nose. Clefts on both sides of the upper lip, extending into the nose. A cleft in the back of the mouth in the soft palate. A cleft affecting the hard and soft parts of the palate. The mouth and nose cavities are exposed to each other. A cleft involving the hard and/or soft palate, covered by the mucous membrane lining the roof of the mouth. May be difficult to visualize. Kayla is linked in with the cleft team in Temple Street. They have been amazing. Big shout out to Jane the cleft nurse specialist who takes families under her wing and walks the journey with them. She gives us so much time to ask any questions we may have and checks in regularly to see how Kayla is doing. Other common issues in babies/children with PRS are problems with their eyes (Stickler Syndrome), problems with their inner ears and dental issues. Kayla will be under different teams for each and so far they have been wonderful. Kayla will have her first surgery to create a soft palate when she is around 9 months. This will hopefully help with her speech development. She will most likely be 3 years old before her palate is completely closed but for now it seems the only long term issue she will have is a speech delay – which she will catch up on by the time she is 10 years or so. 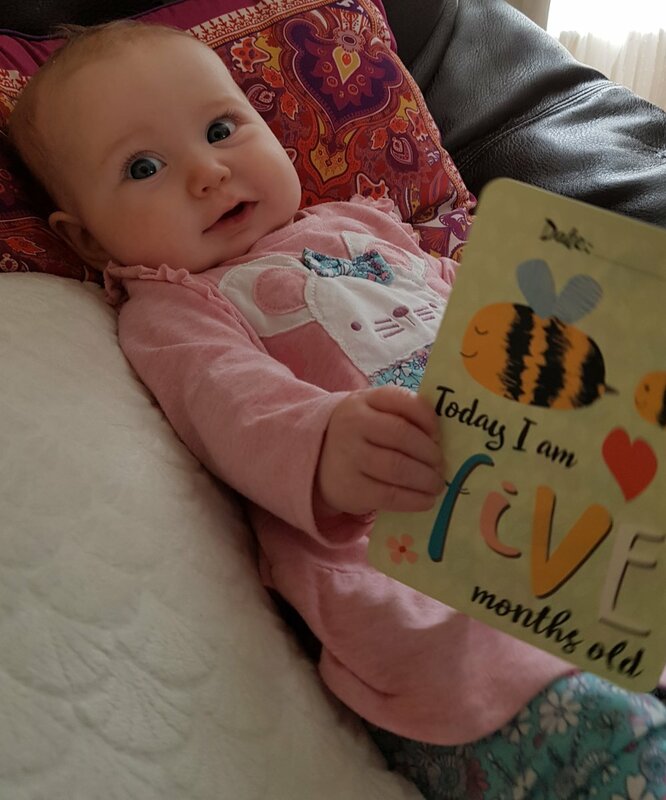 So while her first few years of life will be hard, with surgeries and hospital appointments it is something that won’t hold her back and she can put behind her! https://www.breastfeeding.ie/Resources/Publications/ The booklet I co created "Breastfeeding and Expressing for your preterm or sick baby" has lots of information on getting off to a good start, maintaining your milk supply, storing milk, skin to skin and more. It is available free to download or order. All Irish maternity units should have copies also. The Australian Breastfeeding Association (ABA) has two booklets (both e-booklet -released during 2017 and hard copy) The cleft breastfeeding booklet: https://goo.gl/ZnoFqc has information about breastfeeding - and expressed breast milk feeding, lactation aids, type of feeding methods including - cup/spoon/supply lines/ bottles/teats. As well as some of the experiences surrounding feeding from families. The second booklet is all about expressing and storing breastmilk: https://goo.gl/ft7gDp. We have so many articles we want to share with you, with tips and advice on pregnancy, birth and parenting. Watch this space as we add new content over the next few weeks and months.